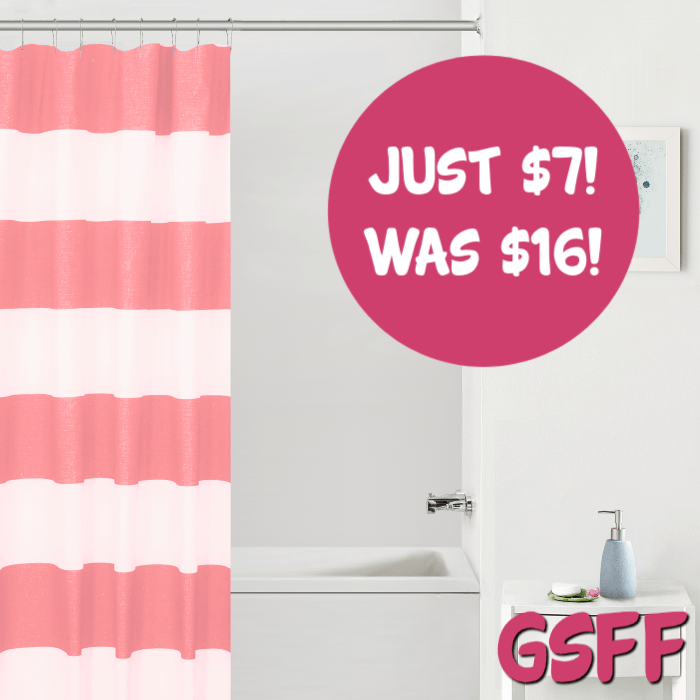 Cabana Stripe Shower Curtain Just $7! Down From $16! You are here: Home / Great Deals / Cabana Stripe Shower Curtain Just $7! Down From $16! Your Zone Cabana Stripe Microfiber Coordinating Shower Curtain Just $7! Down From $16! Don’t miss the chance to get this deal from Walmart! Grab the Your Zone Cabana Stripe Microfiber Coordinating Shower Curtain for just $6.98, down from $15.57, plus FREE shipping for orders $35 and above! Update your bathroom with the classic look of a wide cabana stripe with Your Zone Cabana Stripe Coordinating Shower Curtain. This classically designed shower curtain features bold colored stripes against a white background. Your Zone Cabana Stripe Shower Curtain is available in lavender, navy, gray, spearmint, coral and fuscia so you can find the perfect fit for your bathroom space.